Please Note....this is our Ex Display Car. It is New & will have Full warranty as normal with FTX Cars. 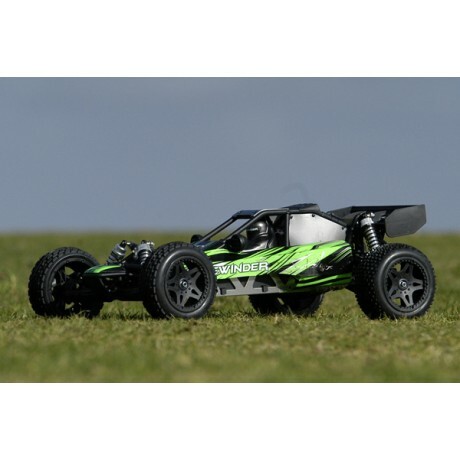 It is a little dusty but still has protective film on Bodyshell. 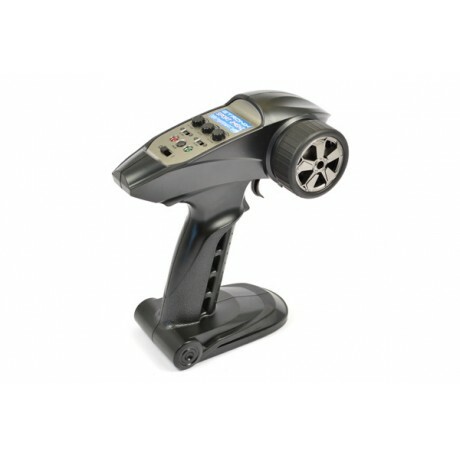 Car has been Bench Tested to make sure all functions as it should & is in original packaging so ideal for a Present. 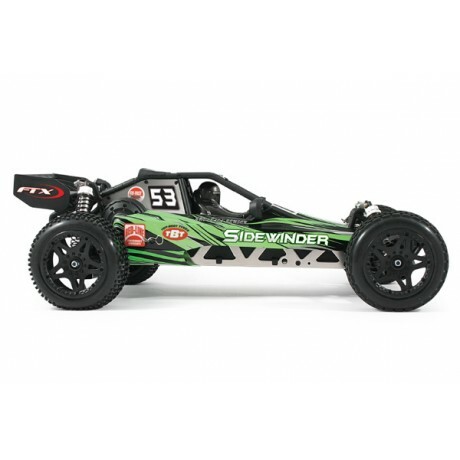 Take to the dunes with the awesome FTX sidewinder 2wd 1/8th Single seat buggy. 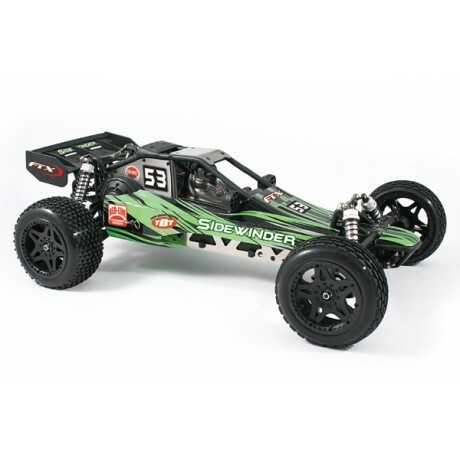 Inspired by the full size vehicles that blast through the deserts of California, the FTX Sidewinder provides you with a mix of scale looks and modern r/c technology to create a package that not only looks great but also performs like it looks. 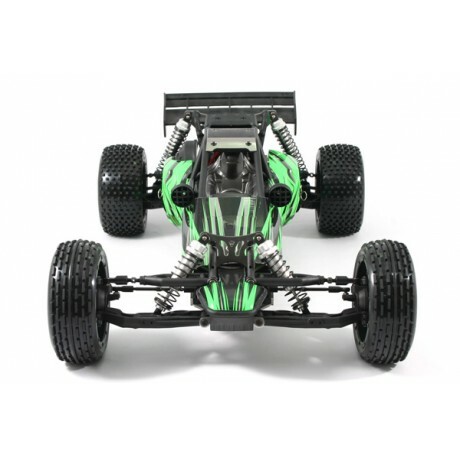 Factory assembled and 99% ready-to-run with a 2.4ghz radio system, the Sidewinder includes an 2200mah 11.1v 3S LiPo battery and powerful 2750kv brushless motor and splash proof brushless speed control to provide exciting straight-line speeds. 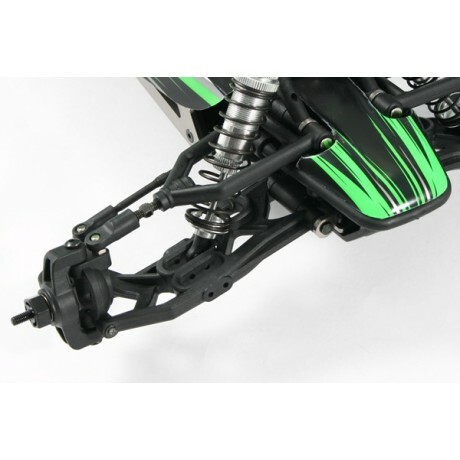 The monocoque aluminium chassis is the solid foundation for the wide track double wishbone long travel suspension to operate from, with each corner being handled by CNC machined aluminium oil filled shock absorbers. 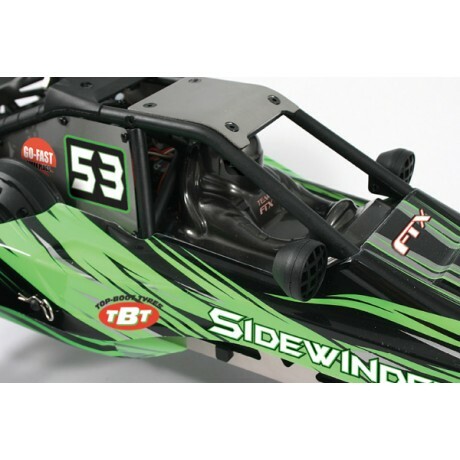 Unlike other similar models on the market, the FTX Sidewinder features a mid-motor transmission design where the motor is not hanging off the back of the vehicle but is housed more centrally and out of view. 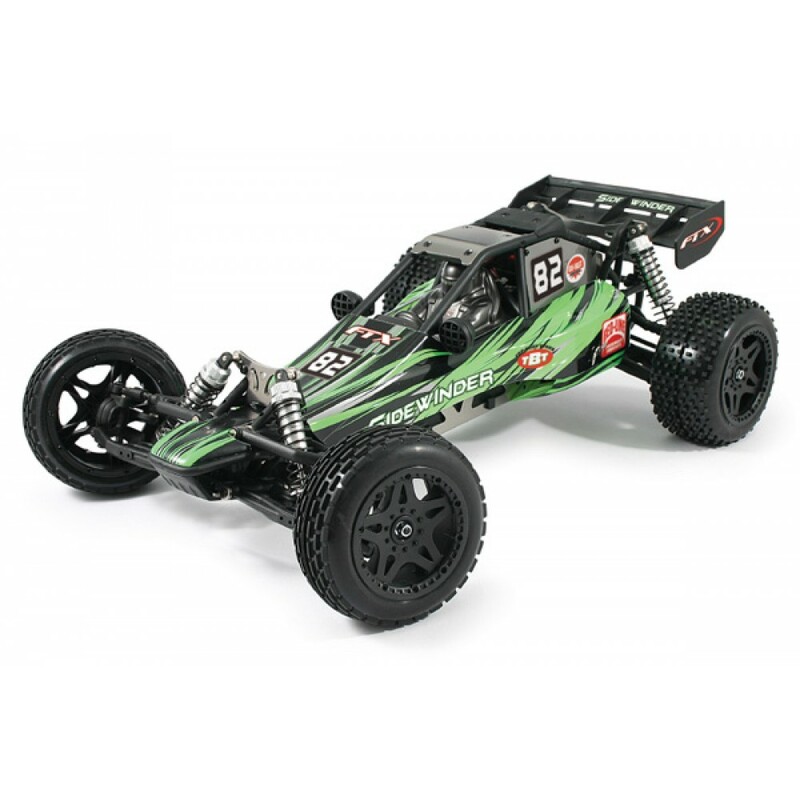 This provides more balanced handling on most medium to high traction surfaces and seriously adds to the scale appearance with no motor placement interrupting the roll cage when viewed from the rear. 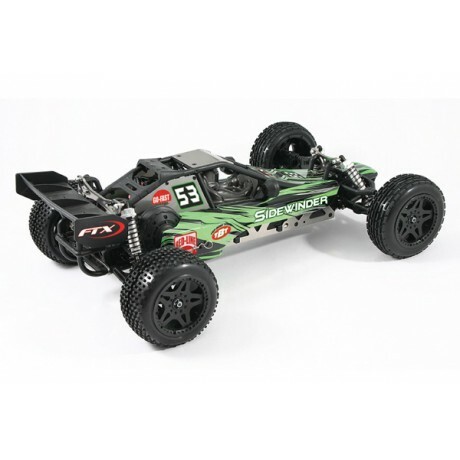 The ball raced, sealed gearbox features heavy-duty aluminium gears and adjustable oil filled geared differential. 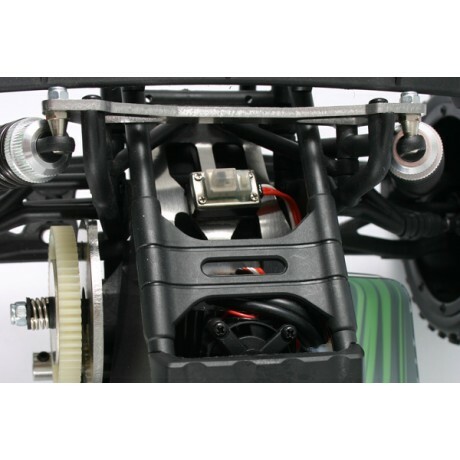 An adjustable slipper helps provide protection for the transmission and acceleration tuning. 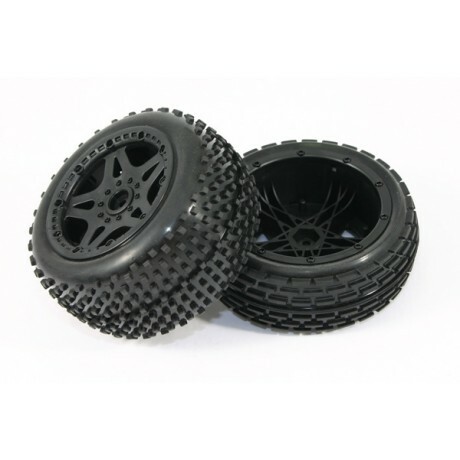 Scale beadloc style wheels are standard front and rear making a change to the optional Sand Paddle tyres a simple process should you wish to hit the dunes. 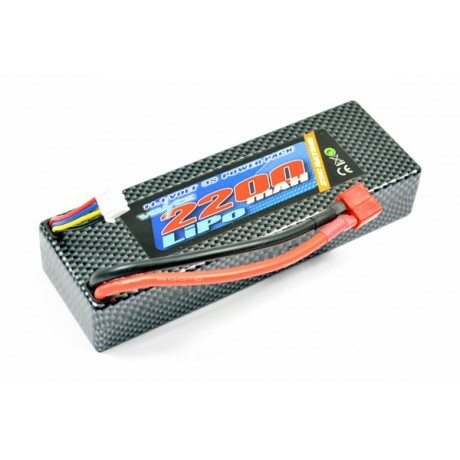 Once you are out in the field enjoying your Sidewinder you don’t even have to loose much time on battery changes, with the bottom loading battery hatch letting you switch to a fresh pack in seconds, hassle free. 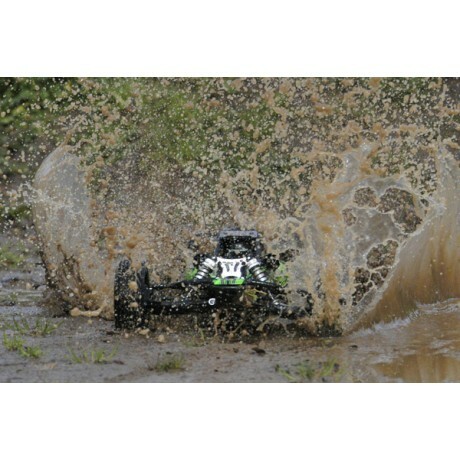 Fast, agile 2wd semi-scale single seat off road…just how it should be!